A town has been honouring the wrong man for almost 40 years after a statue of their most famous inventor turned out to be someone else. No, Steph. 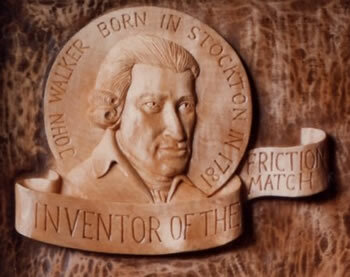 They have been honouring the right man, John Walker, the inventor of the friction match, a native of Stockton-on-Tees in Britain. They just had an incorrect representation of his head. Not a match at all, it seems. The home town of the inventor of the friction match has been honouring an imposter for almost 40 years after some bright spark commissioned a statue of the wrong man. The added nonsensical flourish of 'an imposter' and the snide editorialising 'some bright spark commissioned a statue of the wrong man' make the agency report much worse than Steph's piece. Under no stretch of the imagination can we speak of an imposter. 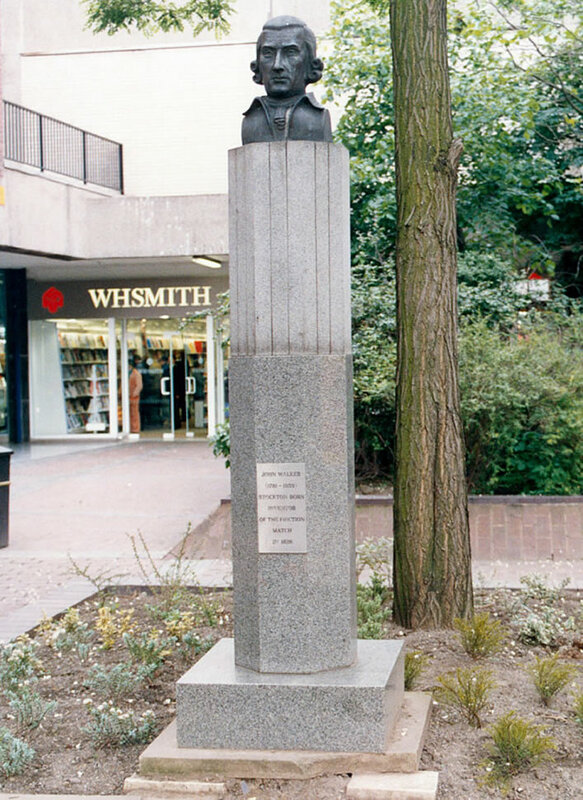 The 'bright spark' commissioned a statue of the right man, John Walker, the inventor of the friction match, but the bust on top of the statue is apparently not a likeness of that John Walker. The memorial to John Walker in Stockton-on-Tees. This stock photo seems to be of the statue in its original position in John Walker Square at the southern end of Stockton High Street. It was moved a short distance to its present position, inside the the entrance to Castlegate Shopping Centre, in 1999. It's a good joke when media outlets laugh at Stockton's lack of veracity with images but themselves publish photographs that are out of date and misleading. The bust is bronze, the pedestal is polished grey granite and the foundations are from the local building materials scrap yard. Health and safety note: Do not stand within three metres of the monument and under no circumstances should you lean on it. The Telegraph or its agency gives us a a press photo of the unveiling of the memorial in 1977. 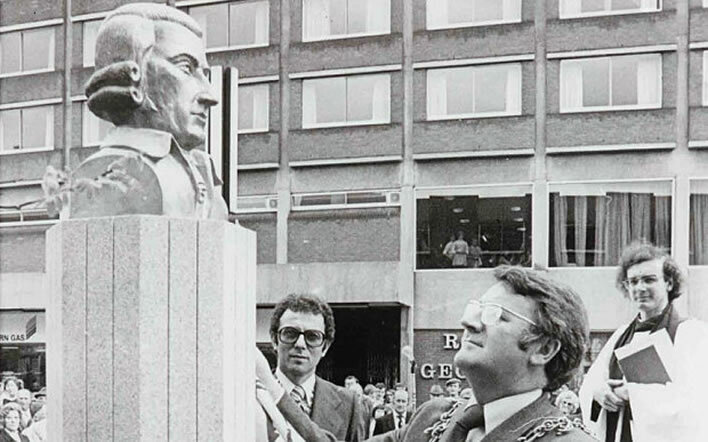 The bust of John Walker unveiled by Stockton mayor Laurie Wild in 1977 in John Walker Square on Stockton High Street. Photo: Alamy. The occasion seems to have drawn a crowd and a representative of God. 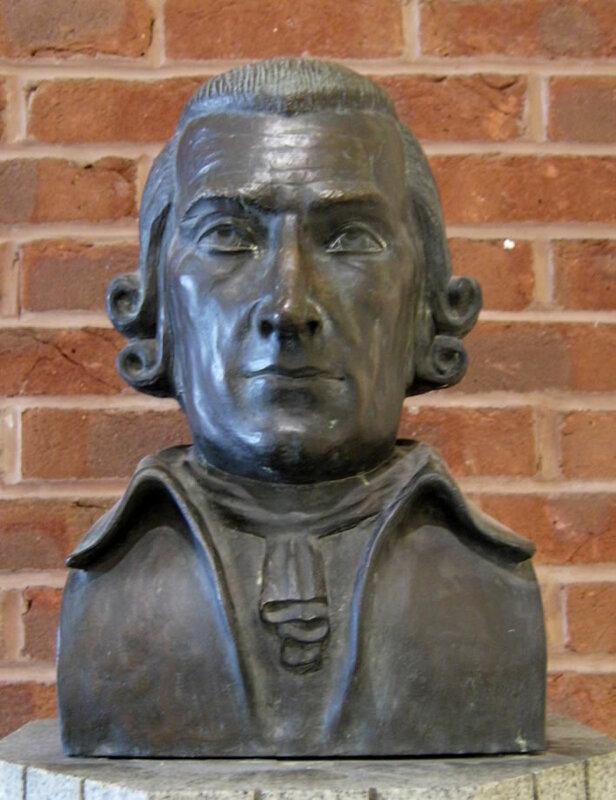 The bust was executed by Jose Sarabia. His website tells us that he is 'a traditional wood carver and stone carver based in Selby, North Yorkshire, England'. Mr Sarabia tells us on his website that the bust was a bronze cast from a clay original, so not much stone carving here. This doesn't surprise us: we read in the Telegraph's account that the bust was erected in 1977 by public subscription at a cost of £1,400. When we deduct the cost of the polished marble, the screw-on plaque, the bronze casting and the foundations there was probably about £200 left over for the artist. Here's Mr Sarabia's photo of the bronze. 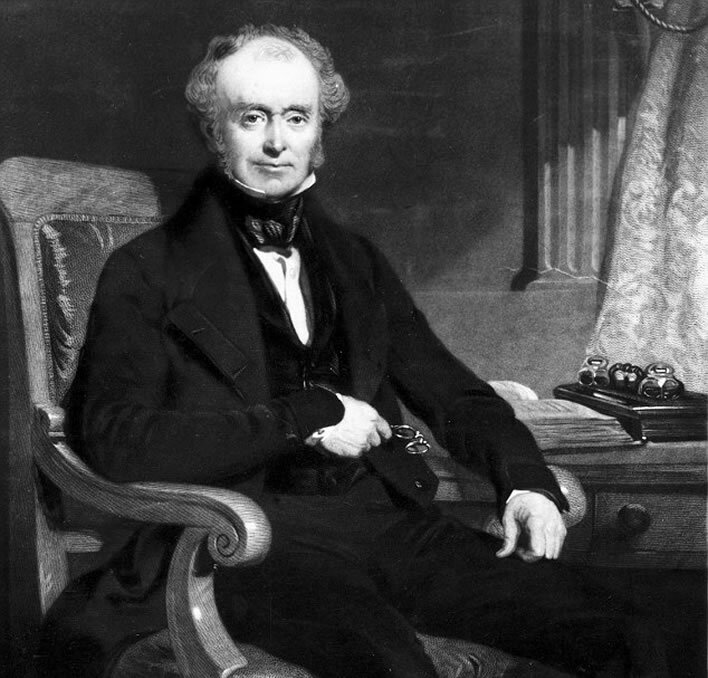 Without looking at any other images, it is immediately clear that this cannot be a likeness of John Walker (1781-1859), the inventor of the friction match. Wigs had fallen out of fashion by the time he was an adult. We can say with great confidence that no apothecary in Stockton-on-Tees in the nineteenth century would wear such a thing, just as we can say that no man in our time would wear the jackets with lapels that we see in the 1977 photo. Jose Sarabia has also produced other objects with similar representations of John Walker. Each of these is recognizably from the same source image: the same long straight nose, the well defined chin and, of course, the same wig. Left: Jose Sarabia's relief for the 'Stockton History Plaque: A hand carved wall plaque showing notable events in the history of Stockton in Teesside'. Right: Jose Sarabia's plaque 'John Walker: A portrait of chemist John Walker from Stockton-On-Tees, inventor of the friction match'. The source for Mr Sarabia's works appears to be this engraving, which has many features in common with the carvings. This image also found its way into Wikimedia, but the link to it was removed on 16 February 2016 from the English language page for John Walker. All the other languages seem still to display it, but this may change. The source of the Wikimedia image is given as a match museum, The Phillumeny Museum in Bystrzyca Kłodzka, Poland. The engraving also leaves little doubt that it is a representation of this man, the actor and lexicographer John Walker (1732-1807), wig and all, from the generation preceding that of our match inventor. 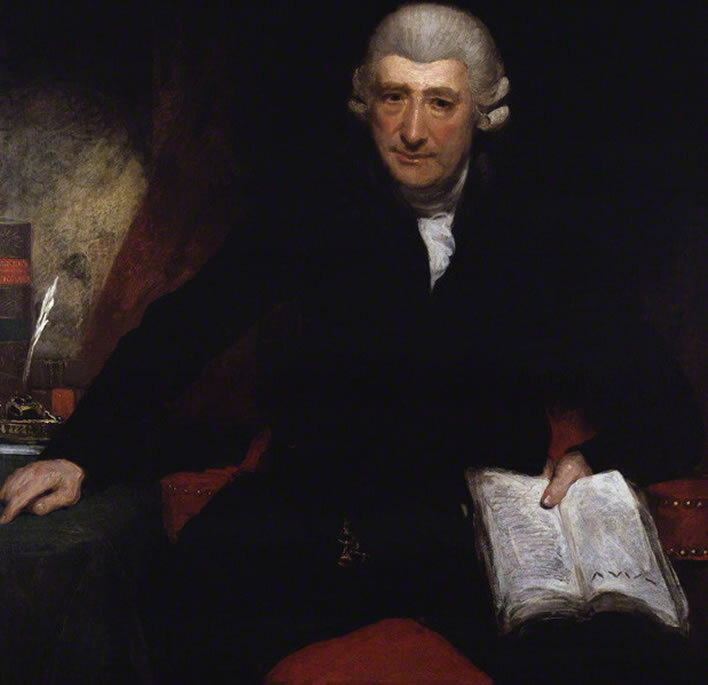 John Walker, by Henry Ashby, oil on canvas, 1802, NPG 5493. © National Portrait Gallery, London. 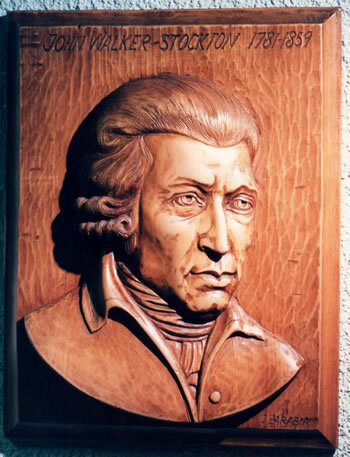 So we are left with the question, what did our John Walker, the inventor of the friction match look like? Someone found this image for Steph's piece, but captioned it rather confusingly, leaving us wondering for a while which of the John Walkers is 'real' and which of them is pictured. The statue is probably of a well-known actor, also John Walker, who never visited the town – and died 19 years before the match was invented. He apparently bore a strong resemblance to the real John Walker (pictured). A simpler caption, such as 'A picture of John Walker the inventor of the friction match', would have been better for those, such as me, who by this point are suffering from John Walker overload. The 'strong resemblance' between the two John Walkers seems to be restricted to the fact that both of them have two eyes, a nose and a mouth, but all credit to her or the picture editor for finding an image of someone who might just be John Walker, the match man. Unfortunately, we have to suspend disbelief with this picture until the Science Museum resolves its chaos and gives us a full attribution and provenance. Unfortunately the web reproduction is of such poor quality that the caption underneath the image is illegible. 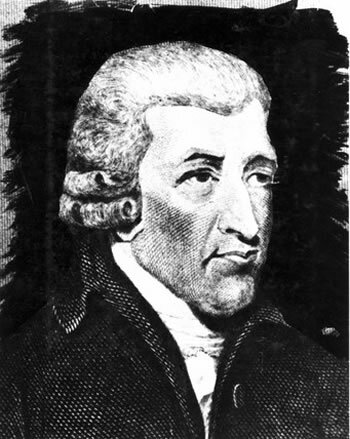 If match inventor John Walker's somewhat unimaginative father John Walker (children: James, John, Thomas, Jane and Mary) had christened him 'Trismegistus'	all would have been well and both author and reader would have been spared this tedious blog post. In my own defence I should say that I didn't start out this post with the intention of disentangling all these John Walkers, but so great was the chaos that I got dragged into it. My intention was to point out that so many busts, statues and paintings have no relationship at all with the appearance of the original humans they are supposed to portray. Most of these are of people who are much more important than our match inventor, but of whom we have no contemporaneous and realistic representation. Since no artist is capable of leaving a blank canvas or an untrimmed block of marble, most of the images of figures from antiquity to the middle ages, let's say up until the Renaissance, are complete fakes. I can't think of any portrait or bust of a Greek or Roman figure that might be considered to be a likeness of the living original. And yet even to this day, to take the most extreme example, we still add an image of a completely fictitious bust of Homer to editions of the Iliad and Odyssey, even though no one has the slightest idea what he looked like – even if he in fact existed as a single person. It has always shocked me how completely acceptable to editors, publishers and readers such nonsense seems to be, particularly when such representations are given a title: 'Homer'. At least the citizens of Stockton-on-Tees seem concerned about the veracity of their image of their match maker, which is much to their credit. As a contrast we can take the Italian town of Sirmione, perched on a peninsula poking into Lake Garda, which had a brief appearance in poem 31:13-14 of the Roman poet Gaius Valerius Catullus. 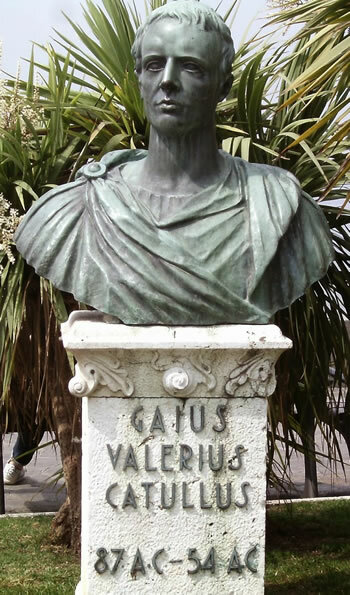 No one has any idea what Catullus looked like, but here he is in a bronze statue from 1935 by the sculptor Villarrubia Norri, the plinth bearing his name and (incorrect) dates. Not even looking out over the lake and its 'laughing waves' but at a tourist eatery. Brazen, if you will forgive the pun. 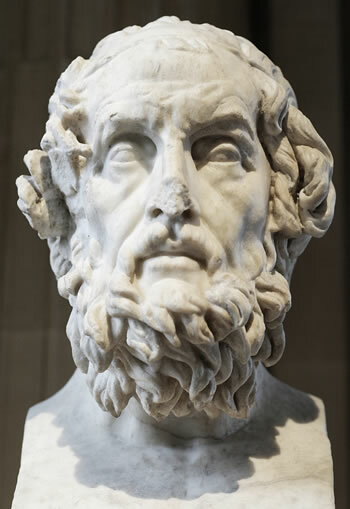 Left: imaginary bust of Homer in the Louvre. Right: imaginary bust of Catullus in Sirmione. 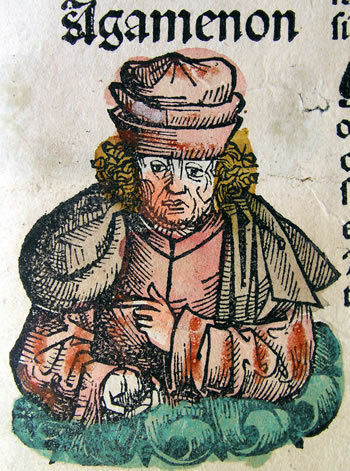 Just for fun, here are two images of two famous Greeks as imagined by a German artist of the early sixteenth century. 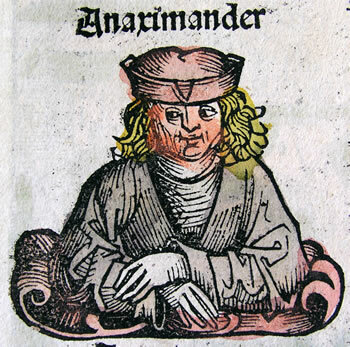 Illustrations from Hartmann Schedel (1440-1514), Nuremberg Chronicle. Two imaginary Greeks: left, King Agamemnon and right, Anaximander the pre-Socratic philosopher. If you have an idea of what an historical figure looked like in life then the statue should correspond to that, otherwise there will be trouble. If you have no idea of what an historical figure looked like in life then anything goes. No one will mind. You should never assume that articles in the mainstream media are accurate. ^ He shall be christened Trismegistus, brother. Laurence Sterne, The Life and Opinions of Tristram Shandy, Gentleman. Chapter 2.XLIII.